In our previous blog posts, we wrote about several superb antique galleries and shops in NYC, each distinguished by its unique collection of furniture, lighting, and interior design pieces created in different periods of time, in different regions, and in different cultural environments. Whether it comes to a vintage chandelier, Mid-Century Modern furniture, or a pair of valuable porcelain vases, to ship antiques like that is always an incredible pleasure for our team of art handlers in NYC. For this reason, at Fine Art Shippers, we are very happy to work with many professional dealers and ship antiques for them and their clients both across the United States and internationally. Besides, we also provide advisory services, helping people choose the right pieces for their homes. For example, if you are looking for the best Swedish antiques in New York, you won’t find a better place than Eileen Lane Antiques! 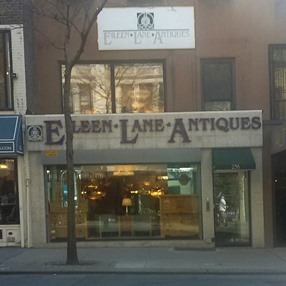 Located in Manhattan’s Upper East Side design district, Eileen Lane Antiques is a family-owned gallery aimed at providing modern households with rare and unique treasures from the past. With its amazing selection of Swedish antiques ranging from case pieces and tables to lighting and art objects of different types, this beautiful gallery has long been a go-to place for many decorators and fans of European antiques. So if you are also looking for something exceptional for your home, Eileen Lane Antiques is definitely a good option! As for Fine Art Shippers, we would be happy to ship antiques for you to any destination in the world!